It is important to protect the brushes you like to paint with, so they will stay with you for years. Every painter has the brushes they like to use and keeping those watercolor brushes soft should be in their mind. Many painters do not treat their brushes with the care they should. This causes the brushes to loose shape, the wooden handle to get mold, to get the bristles separated and the brush to be useless within few months. Here are some useful tips to help you keep your brushes soft. These tips will help you avoid repeating some of the most common mistakes painters do with their brushes. Following these tips, will keep your brushes ready for use when ever you wish to paint. you will save money not having to buy new brushes over and over. 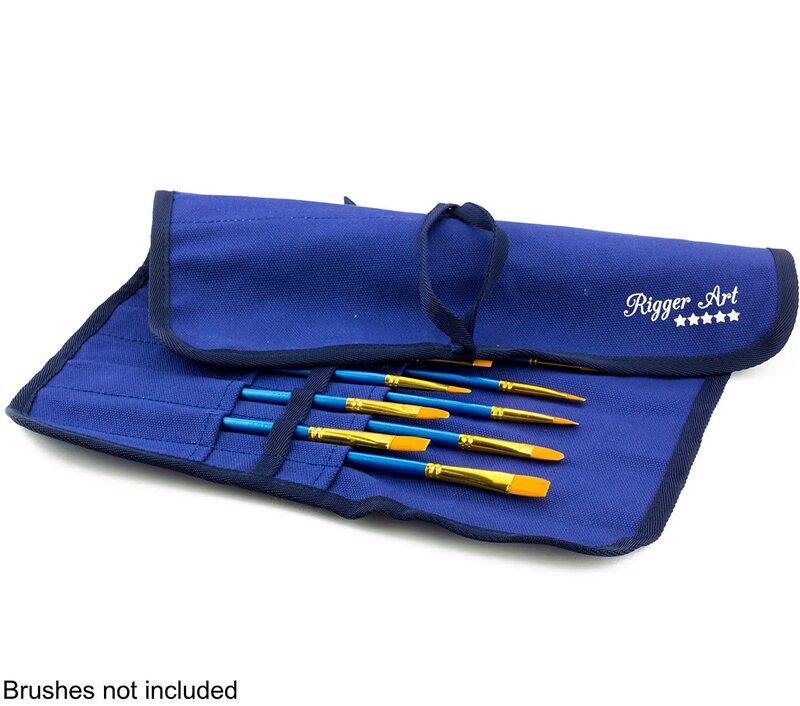 Note at the end of the clip there is an offer to purchase a brush holder canvas wrap. These are used to keep brushes safe and well protected when carried around. Those who go painting plein carry their brushes to school or to the studio usually take them inside a brush organizer wrap so they do not stain the bag and do not loose shape thrown in a backpack. Once you have washed your brushes after painting, and dried the water with a towel, leave them to dry flat on the canvas wrap. The brushes should not be left to dry upright in a jar, because the water will drip slowly into the handle and the wood may get soft and moldy. The brush wrap is used to air-dry brushes after they have been cleaned. This is the best way to dry brushes. If you do not have a brush wrap to carry and maintain your brushes, click here to order one directly from Amazon. 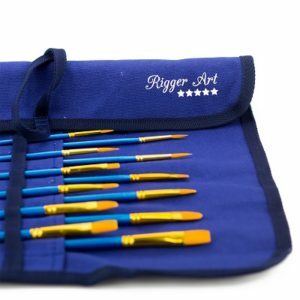 This entry was posted in Paintbrush Holder, Painting Brushes and tagged Acrylic Brushes, canvas brush holder, Paintbrush Organizer, PaintBrush Shapes, Paintbrushes Set, painting brushes, watercolor brushes, Watercolor Paintbrush by RiggerArts. Bookmark the permalink.